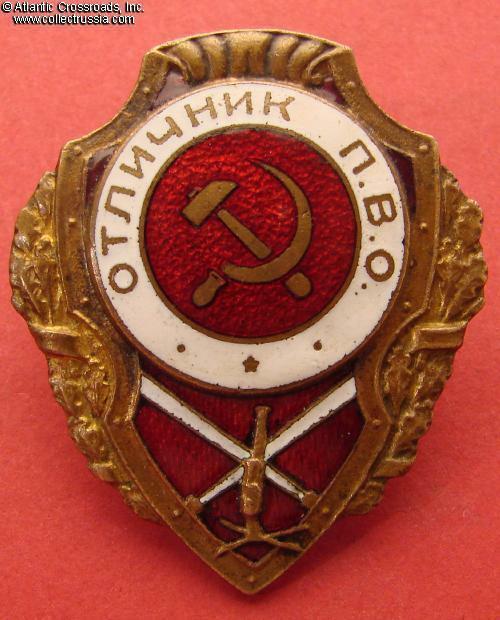 Excellence in Antiaircraft Gunnery badge, NKPS variation, mid 1940s. Brass, enamels; 45.9 x 38.7 mm. 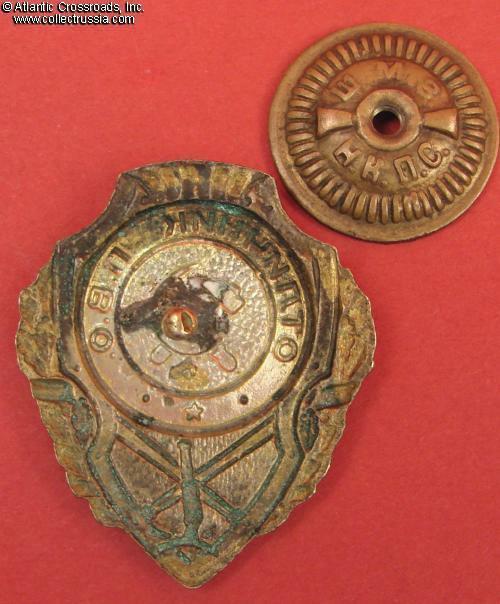 This early variation of the badge features wide shield and domed center medallion. The ornament above the shield consists of a wide scroll in the middle and two smaller scrolls on each side, with well defined border on top. In very fine to excellent condition. 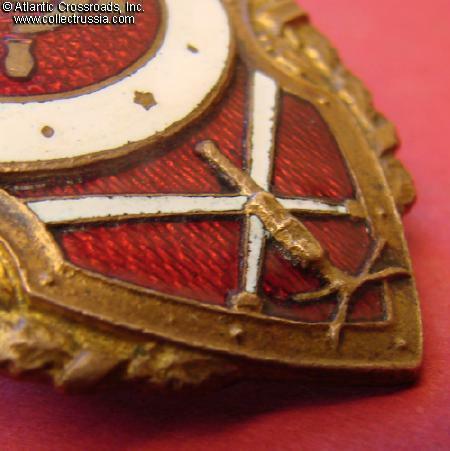 The medallion has only a few minor contact marks and light scuffs, primarily to the white band. There are no noticeable flakes, and the red enamel retains extremely attractive luster. 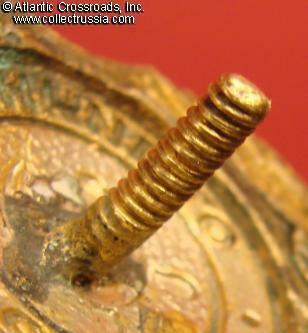 Some of the original silver finish is still present on the reverse in the central area (which was protected by the screw plate). The screw post is full length, approx. 12.5 mm. Comes with original NKPS screw plate. 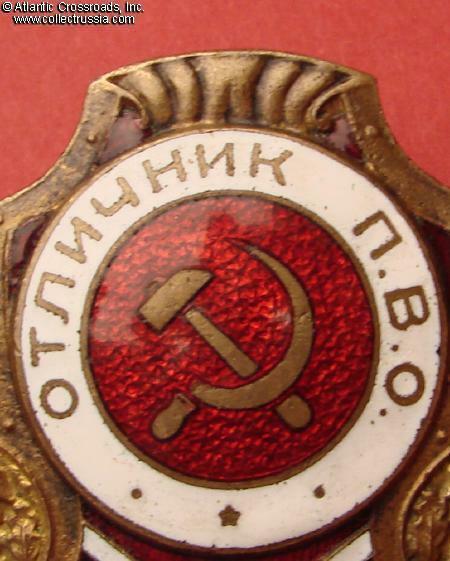 A very attractive piece, much better condition-wise than an average WW2 era Soviet combat proficiency badge. / See "Breast Badges of the Red Army, 1941-1945", p. 117, fig. 2/.